Did you know that printer ink costs up to thousands of dollars per liter? This pricey commodity is said to be one of the most expensive commercially produced liquids in the world and can cost double or more than high-end luxury perfumes like Chanel No. 5. But if you can’t swap your printer for good ol’ pencil and paper, you can still make a difference in your ink usage and the amount of printer paper used by changing your font and your spelling. 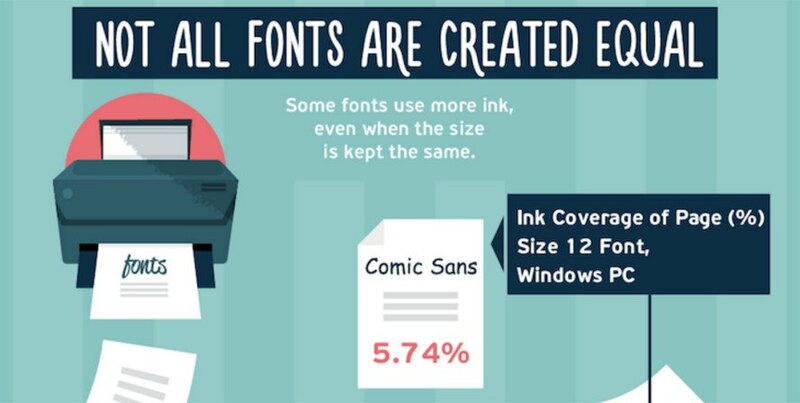 Click through to learn more in this infographic by pixartprinting. Doesn't Calibri Light use lesser ink than Times New Roman?